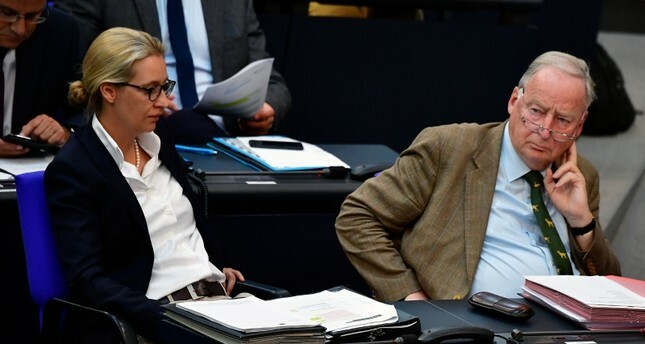 Germany's far-right politicians shared xenophobic conspiracies and provocative messages on social media following the massive fire at Notre Dame Cathedral in Paris on Monday. In a tweet, Alice Weidel, the parliamentary group leader of the Alternative for Germany, the country's largest opposition party, implied a connection between Monday's blaze and previous anti-Christian "attacks" in France. "The Observatory on Intolerance and Discrimination Against Christians in Europe speaks of a significant increase," she added, including a link to a March article in a German Catholic magazine headlined "Catholic churches desecrated across France." Germany has witnessed growing Islamophobia and hatred of migrants in recent years triggered by the propaganda of the AfD and other far-right parties, which have exploited fears over the refugee crisis and terrorism. Police recorded 813 hate crimes against Muslims last year. At least 54 Muslims were injured in the attacks, which were carried out mostly by far-right extremists. Germany, a country of over 81 million people, has the second-largest Muslim population in Western Europe after France. Among the country's nearly 4.7 million Muslims, 3 million are of Turkish origin.